This post is the first of a three part series. Next up: top 25 dishes of 2012 followed by best coffee of 2012. There is no question that 2012 was the best eating year of my life, with experiences in places ranging from Copenhagen to Kyoto. To create this list, I examined the dining experience as a whole, factoring in the progression of dishes and overall story they told. I can only hope 2013 will bring as much culinary excitement as this past year has. One theme that links my top 10 meals of 2012 is the focus on intensification of flavor. Cooking with fats is not the only way to maximize flavor. The Japanese intensify flavor by aging, cooking over a wood-burning fire, or using a pure umami-rich dashi broth. In Denmark, many of my best dishes were served raw or still alive. This theme, a focus on intensifying an ingredient's natural flavor, led to a reduction of fats being used in the cooking process of many dishes. An unintentional side effect of this is the health benefit of lighter cooking. Chef Joshua Skenes of Saison, for example, didn't even realize he was cooking without butter. The Japanese have been doing this for thousands of years, but recently other restaurants like Relae and 41 grados have sprung up embodying similar principles. Only time will tell how these restaurants develop in 2013. Happy New Year. Below is a list of my top ten favorite meals from 2012. Mexican cuisine remains underrepresented given the richness of its culinary history . Highlighting the flavors of its thirty one states, Chef Enrique Olvera showcases original and exciting flavors in a simple fashion. His cuisine has become increasingly minimalist and focused over the past year, now making Pujol one of the most exciting restaurants in the world. His meals tell a delicate story from exotic ant larvae atop a thin tostadita to a bright and acidic nopal cactus salad. When dining in Mexico City, this is the place to go. Albert Adrià's 43-course tasting menu is separated by geographic region -- much like at elBulli -- taking diners on a tour of Denmark, Mexico, Peru, Japan, and the Mediterranean. The menu is colorful, polished, and varied with an emphasis on the flavors of the sea. The platings are stunning and the flavors just as interesting. The meal was cohesive and without pretense, featuring original creations of chef Adrià as well as some classics from elBullí. What makes Noma special is its access to the unique ingredients of the cold north atlantic, combined with flawless execution and creativity of its team. Chef René Redzepi knows when to step back and let an ingredient speak for itself, but also how to minimally season it to enhance its flavor. In a restaurant run out of her home in Oaxaca, Doña Deyanira Aquino serves the regional cuisine from Mexico's Isthmus of Tehuantepec. During my meal -- eaten in her living room -- chef Aquino scurried back and forth from her kitchen to our table serving classics like her estofado de bodas (wedding stew), molotes de plátano macho (plantain cakes topped with yogurt and fresh cheese), and garnachas (fried masa, spiced meat, fresh cheese). 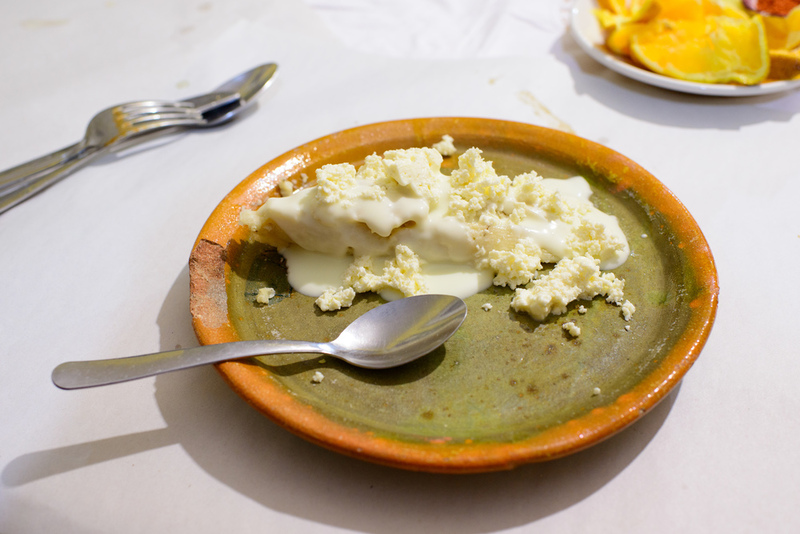 In many ways, the meal had the wholesomeness of eating at grandma's house -- full of hearty dishes from the Istmo. I felt like I would get in trouble if I didn't finish a plate; thankfully, this was not an issue. This was a meal less severe and more slowly paced than Sukiyabashi Jiro and Masa, yet with equal -- if not greater -- fish quality. The rice had slightly less vinegar, which helped it to take a step back making the fish's flavor more apparent. The procession of courses was like clockwork -- each piece of fish equally timed -- while chef Mizutani interacted with us in a serious, yet friendly, manner. This was one of the greatest sushi experiences of my life. At Ishikawa, Chef Hideki Ishikawa serves a traditional kaiseki meal with an emphasis on shellfish. Sea urchin, crab, abalone, and eel dominate the winter menu. The highlight was a black perch soup served in a traditional lacquer bowl, where a pure and subtle dashi broth brought out the fish's natural sweetness. This was a meal that really took me by surprise. Chef Christian Puglisi's cuisine is straightforward and focused, with rarely more than a handful of ingredients on the plate. He has a masterful understanding of acidity and when to use it to enhance an ingredient's flavor. Every dish was balanced and wholly creative with original flavor combinations. My first meal at Relae was my best in Copenhagen. When someone asks where the best sushi experience can be found, I now have an answer: Sawada. Chef Koji Sawada humbly serves some of the freshest cuts of fish I've ever experienced -- some raw, some torched, others cured. There is an emphasis on shellfish: clam, sea urchin, salmon roe, and scallop. The rice is exceptional with a distinct whole-grain flavor that supports the generous acidity found in the rice. The experience is quick but relaxed with chef Sawada interacting with all diners. As good as Saison was in 2011, it was even better in 2012. The meal now tells a cohesive story where each dish eloquently leads into the next. My first meal of 2012 featured over thirty courses where not a single one contained an ounce of butter. Chef Joshua Skenes is obsessed with maximizing flavor where, much like the Japanese chefs, the natural result leads to aging techniques, umami-rich dashi broths, and flavor intensification through the use of fire. It's only a matter of time before Chef Skenes gains his third Michelin star. For these reasons, Saison is currently the best restaurant in the United States. Eating out regularly can sometimes feel like listening to music with the volume turned on maximum -- a collection of flavors and scents each trying to stand out against each other. That's why I love Japan: it's as if a chef stepped in and turned down the volume. Instead of loud flavors competing against each other, there is harmony. 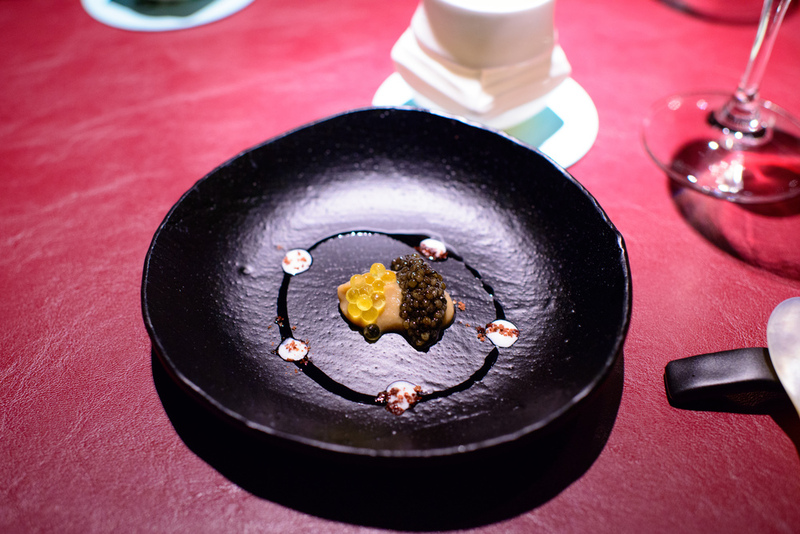 Flavors which were once lost in the noise become the spotlight in Japanese kaiseki cuisine. Kitcho is a restaurant where the sum of the meal is greater than its parts. A dashi broth so clean and balanced sets the foundation for much of the meal, letting the ingredients' natural flavors come through. The entire dining experience at Kitcho is ethereal, from the private tatami room in which the same waitress quietly serves each of its courses, to the vibrant colors that stand out against the black lacquer table. This is truly one of the world's greatest restaurants.